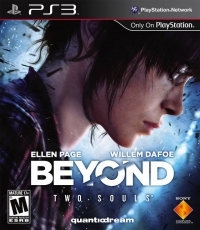 Description: A sophisticated and technologically advanced gaming experience by Quantic Dream, Beyond: Two Souls follows a young woman who has a connection to the world beyond death. Starring Ellen Page. Box Text: Uncover the mystery of what lies BEYOND in a powerfully emotional journey through the remarkable life of Jodie Holmes. 06-26-2016 keikuina Box Text Uncover the mystery of what lies BEYOND in a powerfully emotional journey through the remarkable life of Jodie Holmes. 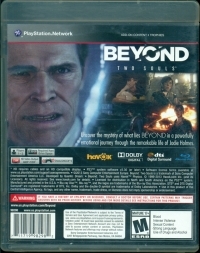 This is a list of VGCollect users who have Beyond: Two Souls in their Collection. This is a list of VGCollect users who have Beyond: Two Souls in their Sell List. This is a list of VGCollect users who have Beyond: Two Souls in their Wish List.